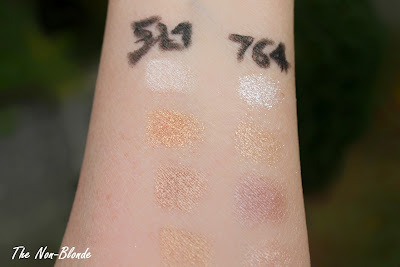 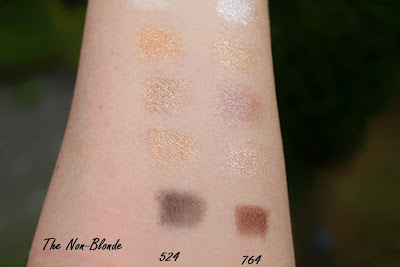 As promised, here are the side-by-side eye shadow swatches of Dior Night Golds 524 and Dior Fairy Golds 764 from Le Grand Bal collection for Holiday 2012. As you can see, the colors in the quint really complement each other, which is why I would have loved a bigger palette of eight. But I'm not complaining. 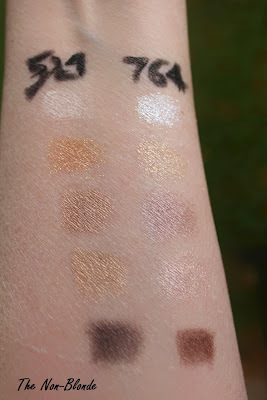 Dior did an excellent job this season, and just about everything in Le Grand Bal collection is highly desired..